Are you looking to put a twinkle on your shirts. 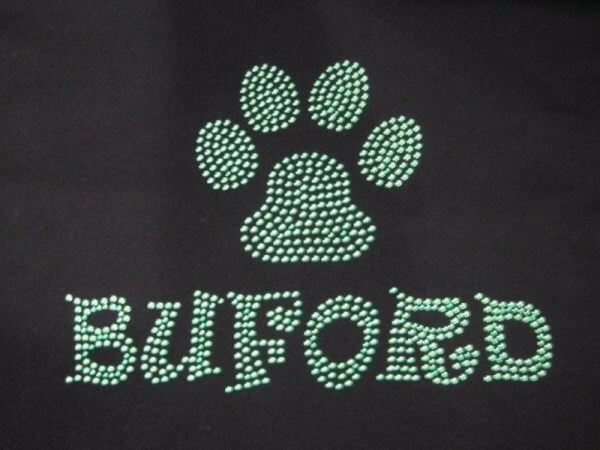 We stock many different rhinestones designs for local schools. You can add custom bling to shirts, caps and totes. Choose from one of our many designs or we can create a custom design for your project. 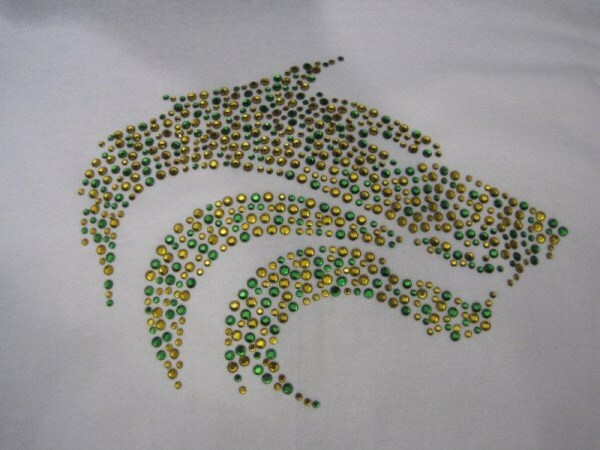 Rhinestones are a great addition to pageant shirts, cheer-wear and cheer team shirts. 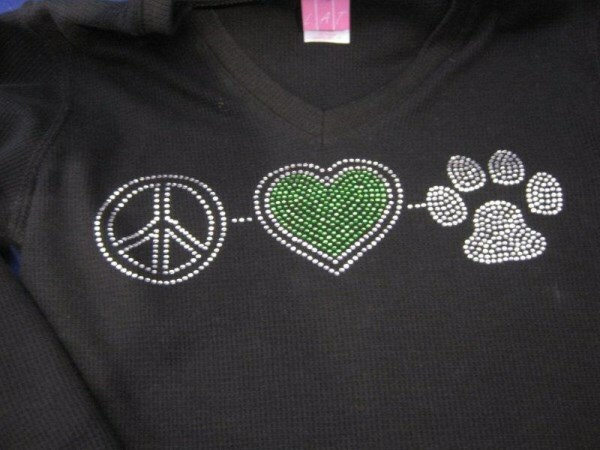 You can also add them to screen printed or embroidered shirts. You can even put them on top of digital print shirts to make a really unique effect. They are durable and washable and will outlast the garment, they will never fall off. Stop by our showroom to view our full selection of rhinestones or email us with your own custom design. Did I mention our prices are the best in town?